The Court of Protection should relax its restrictions on media reporting, according to legal experts. The study, carried about by Cardiff University’s school of law, has called for journalists to be allowed routinely to attend, to help ensure a transparent and open justice system. The Court of Protection makes decisions about the care of people who lack the mental capacity to make decisions themselves due to dementia, learning disabilities or severe mental health problems. Social workers are usually called on to provide evidence in such cases, similar to family courts. Participants in the roundtable study said media access could help promote public confidence in the system and prevent miscarriages of justice. Co-author of the study, Dr Lucy Series said: “There’s no doubt that restrictions on the ways that Court of Protection cases are reported are necessary to protect the privacy of those involved, but the current rules are not fit for purpose. However, some participants in the study questioned the evidence base for greater transparency preventing miscarriages of justice. 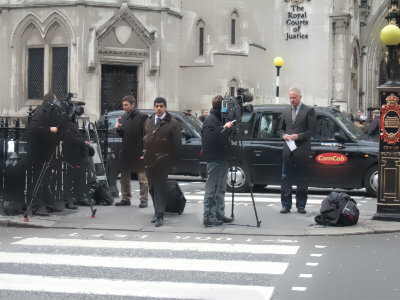 Most agreed the rules for reporting should be brought in line with those governing the family courts, where journalists do not need to make an application to attend private hearings, but the court has powers to exclude them on specific grounds and restrict the reporting of some information. Unison has previously expressed concern that media coverage of family courts will lead to social workers being scapegoated.